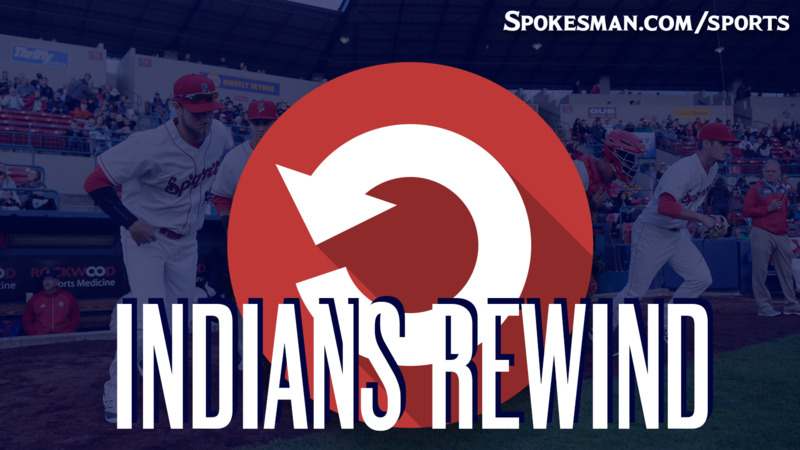 Hans Crouse struck out 12 over seven innings and the Indians (2-0) handled the visiting Dust Devils (0-2) 7-1 on Wednesday at Avista Stadium. The Big Play: Up 4-0, Crouse got into a bit of trouble in the fourth, allowing a single and double with no outs. He picked up a soft lineout to second, then recorded two more Ks to get out of the jam and walked off the field flexing. Pitching coach Jono Armold was impressed by the adjustments Crouse is able to make game to game and even in-game. “That was a great outing, but the highlight for me was the adjustment he was able to make in the last week,” Armold said. “On that pitch (the slider), that was a major focus for us – especially against Salem-Keizer the pitch started getting kind of loopy. The Good: Crouse, obviously. When he’s on, and that’s been most of the time, he’s just simply too good for this league. Also Curtis Terry. The Big Rig’s homer was a mammoth shot and he just keeps producing for this team. The Bad: Diosbel Arias and J.P. Martinez were the only no-hits in the lineup. The Ugly: Tri-City starter Sam Keating’s last four batters were HBP, HBP, BB, RBI BB. Ugh. The Takeaway: Crouse probably isn’t long for this league. I know he was a high school draftee last year and is in his first season of pro ball, but he isn’t being challenged. He simply overpowered the Tri-City order. If Crouse pitches against Hillsboro on Monday at home like he did on Wednesday, the Rangers might be better served if they let him pitch in the NWL/Pioneer League All-Star Game on Aug. 7 then move him up to Low-A Hickory to close the season to see if he faces resistance at that level. Published: July 26, 2018, 11:55 a.m.